When a marriage reaches breaking point and there’s no chance for reconciliation…divorce might be your only option. *regard Australia as your home and live here indefinitely. *be an Australian citizen by descent or birth. *have lived in Australia for the last 12 months before filing for divorce. In order to legally be granted a divorce you must prove you and your spouse have lived separately for at least 12 months and there’s no likelihood of resuming married life. Either you or a lawyer can fill out the Divorce Kit that includes detailed instructions on how to complete the application. The next step is affirm or swear on the application before a lawyer, Justice of the Peace of anyone else authorised to witness affidavits in your territory or state. Two photocopies of this application and all supporting documents must then be made and filed at a family law registry. 4. Documents and hearing date. Following your application being lodged, the court then gives you a file number and time/date for the hearing which decides if your divorce is approved. 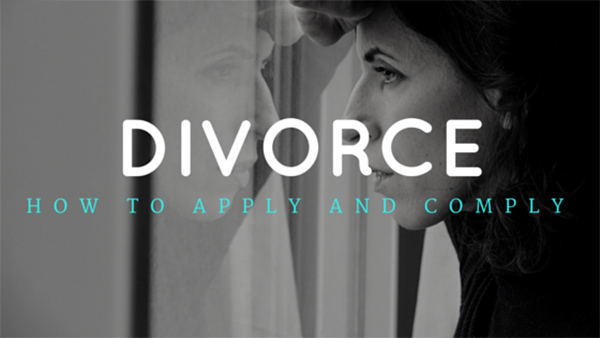 If your application is successful, the court will then grant a divorce order. This order becomes final one month and one day after being granted unless specifically shortened. Once final, the Court then sends the divorce order to both you and your spouse. Don’t assume a divorce will be granted on your first hearing. Sometimes clients are told to provide more information or evidence in support of the divorce. We hope this information has given you some insight into the process of getting a divorce in NSW.